Meghalaya as a whole and Shillong in particular is the center of learning for the entire North Eastern Region. It attracts a large number of students to enrol in the general courses of Arts, Science, Commerce, Law, etc. in various, well known, colleges and universities. For school education, Shillong is the most sought-after city in the North Eastern Region. There are several reasons why students from all over North East come to Shillong for their studies. The salubrious climate of the place, the comparatively peaceful atmosphere, hospitality of the people, good standard of English teaching, the central location of the place are some of the reasons why people come here. 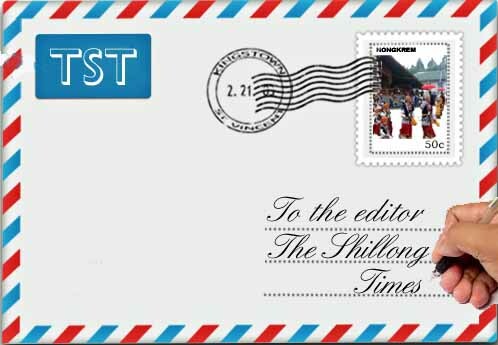 Millions of rupees are flowing into the urban economy of Shillong every month to cover the monthly expenses of the students coming from outside the state. This has a direct impact on the economy of the state. Many people are employed directly or indirectly in various schools and colleges being set up every year. Some decades ago the number of educated people was lesser than it is today and as such the scope of employment in Government sector was high, but in recent years, due to an increase in the literacy rate, there are many educated unemployed youths in the state. There are meagre opportunities for getting a job in the Government sector. Therefore, many educated people, especially those who are not technically trained, are unemployed or only partly employed. The main reason for this is that apart from the general courses being introduced, our state does not make any dent by housing the institutions offering professional courses such as management, engineering and medical services. Being a small state tucked away in the hilly north-east we often see students from the state flocking away to the rest of the country. Most of the students have their own reasons for leaving the state but the few colleges in Meghalaya are quite at par with the colleges all over India. The only problem faced by the state is that it does not have a medical college. The one at NEIGRIHMS can only accommodate some students. There is urgent need for medical and engineering colleges and other professional institutions to come up in Meghalaya. The Government has to take drastic steps to work this out and to prepare for lucrative careers for our students in the professional fields. Apropos the report “Warning against pollution” (ST August 5, 2018) I want to point out that the District Magistrate of Ri Bhoi District has done well by warning industries, hotels, dhabas, restaurants, public eating places, resorts, hospitals, colleges and other institutions and persons in general not to resort to pollution of rivers, streams, rivulets, lakes or any water bodies as this will have adverse effects on their health and the aquatic life therein. In this connection I wish to state clearly that mere warning will not work. Habitual offenders will care a damn about warnings or prohibition not to litter or pollute the environment. Drunkards will drink more if there is prohibition not to drink. I have personally witnessed oftentimes how hotels, restaurants, food stalls, public eating places all along the Ri Bhoi National Highway of NH 40 daily dump whatever garbage and wastes into the main drains the Umran and , Umtrew streams and other rivers all along the highway. Every day we see with our eyes voluminous thick clouds of carbon monoxide emitted by the ferro-alloys factories and other industrial units along the highway at Byrnihat, thereby polluting the whole atmosphere of that township and choking both the young and the old. Again, every day these factories and other manufacturing units are discharging toxic wastes into the Umtrew river and affecting the health of the river and endangering the aquatic life in it. What has the District Magistrate done so far stop the menace and to punish the offenders? We have not seen anything so far. Do we take this as an abetment to the crime by the District authorities? Mere warning will not work. We want to see action on the ground. Let the present District Magistrate show the way in Meghalaya. With the ongoing hullabaloo by the ruling BJP Govt as well as the Opposition leaders over whether demonetization was a successful exercise or not, and how much black money the Govt. was able to retrieve, the main point missed out here was what prompted our Prime Minister, Narendra Modi to take such a drastic decision which jolted the economy of a country as big as India. It is well known that our PM with his humble background of ‘Chaiwala’ has very little knowledge of Economics. That Mr Modi could take such a big decision like demonetization based on the suggestion of some little known financial think tank like Anil Bokil, keeping even the RBI Governor sidetracked, shows the acumen and foresight our netas posses to govern the country . We may murmur over the pros and cons of demonetization for the next decade or so, but what about those innocent people who lost their lives and the harassed old and sick citizens who had to face the music of demonetization by standing in long queues. Can the remonetised black money compensate those poor souls?